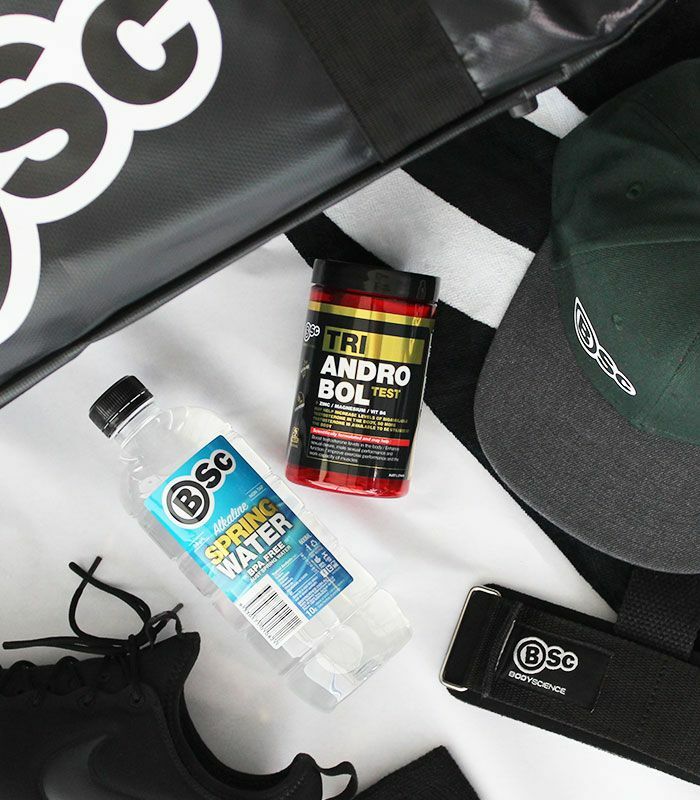 Other Products by Body Science. Search other Testosterone Supplements products. Body Science BSc Triandrobol Test is a super charged testosterone supportive product aimed at improving recovery, stamina, strength and powder, and sexual potency. 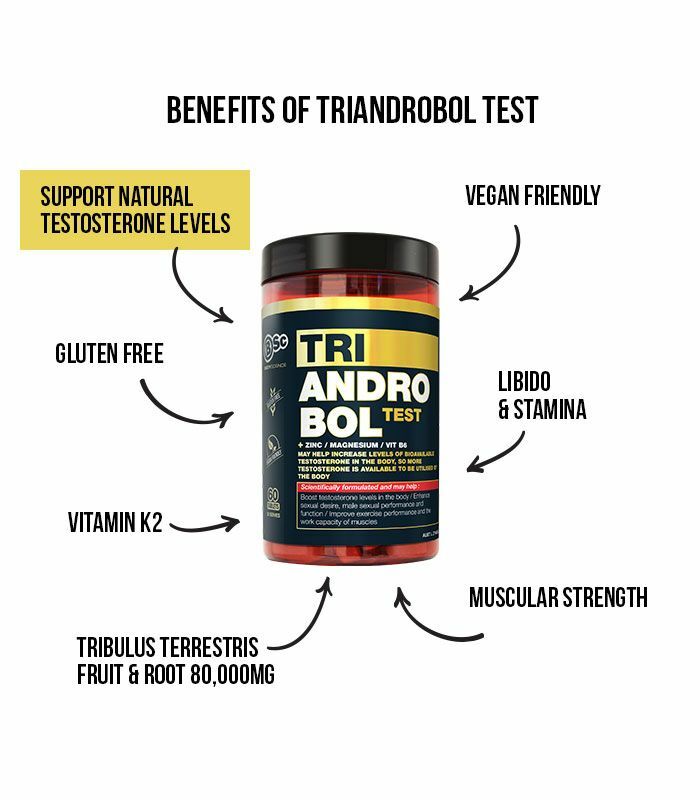 Body Science Triandrobol Test contains a massive 40,000mg of standardised Bulgarian tribulus per tablet. Research demonstrates that tribulus is helpful for increasing testosterone with androgen deficient individiuals1. Additionally, Tribulus terrestris has been shown to increase IGF-1 binding protein-3 and reduce creatine kinase levels in trained male boxers, leading to reductions in muscle damage and improved anaerobic performance2. In addition, Body Science BSc Triandrobol Test contains fenugreek extract, which has been shown to elevate free testosterone levels, and Horny Goat Weed (the name says it all). Body Science BSc Triandrobol Test contains a healthy dose of boron, and just over 12mg of zinc per tablet. Both of these minerals are important for maintaining a healthy testosterone level. Research shows that boron can acutally be quite a potent promoter of free testosterone levels, one study in particular demonstrating a significant elevation with this mineral alone3. Zinc is required for normal testicular synthesis of testosterone. Body Science BSc Triandrobol Test is a potent enhancer of free testosterone and supporter of sexual health and libido. Given its ability to modulate anabolic hormones, Body Science BSc Triandrobol Test is great for use in muscle gain programs, or even just when exercise is extremely demanding. Adults: Triandrobol Test is best taken in a cyclical pattern 8 weeks on, 1 week off to prevent receptor attenuation. Take 2 tablets daily or as directed by your healthcare professional.